Well I have been promising we will go back to sea soon, and Sunday 5 August 2012 is the day. 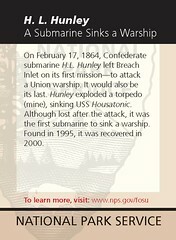 Sunday kicks off a series of articles on the Confederate submarine Hunley. 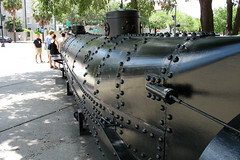 I will give a short background into the Hunley and touch on three big controversies around the little submarine. The SS Bannockburn began life as another non-descript cargo ship designed to pass through the Welland Locks around the St. Lawrence Seaway into the Great Lakes. Sir Raylton Dixon & Company built the ship in 1893 in the United Kingdom; North Eastern Marine Engineering Co. of South Docks, Sunderland, built the steam engine. The Bannockburn was 245 feet long (75 meters), 40 feet wide (12.2 meters), and had a draft of 18.5 feet (5.7 meters); she had a registered tonnage (cargo capacity not weight) of about 1500 tons. A rather small inauspicious ship built for the Montreal Transportation Company of Montreal, of Quebec, Canada. The Bannockburn had a unusual profile for a Great Lakes freighter. Soon after she began her life as a Great Lakes freighter, other ship’s captains began to recognize the Bannockburn even before they could read the nameplate on her bow. For almost ten years, the Bannockburn hauled grain around the Great lakes for the Montreal Transportation Company. The ship became a common sight recognized by other ship’s captains and crews alike. In April 1897, while at full speed, Bannockburn ran aground on the rocks near Snake Island light. No lives lost, but she was badly damaged. 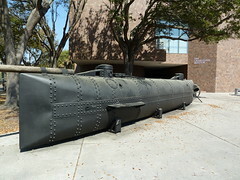 The Bannockburn sank several months later in October 1897. 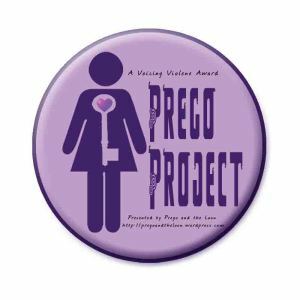 With a cargo of grain bound for Kingston, Ontario from Chicago, Illinois, she struck the wall of the Welland Canal and sprung a leak taking on nine feet of water before she settled on the bottom of the lock. No lives were lost and the ship was refloated and repaired. On 20 November 1902, the Bannockburn left Fort William, in what is now known as Thunder Bay, headed for Georgian Bay. She ran aground shortly after leaving Fort William and turned around heading back to port. With no apparent damage, the Bannockburn once again began her journey on 21 November 1902. Later that day the famous Captain James McMaugh of the upbound freighter Algonquin spotted the Bannockburn seven miles southeast of his position. He estimated the Bannockburn was about eighty miles off Keweenaw Point and forty miles off Isle Royale. Captain McMaugh spotted the Bannockburn several times over the next few minutes, but eventually lost her in the fog. Later that night a strong storm swept Lake Superior. At about 11:00 PM the passenger steamer Huronic identified the Bannockburn by her profile. The Bannockburn, headed for the Soo Locks, was making fine headway in the storm as the two ships passed each other. Nevertheless, the Bannockburn was never seen again during her lifetime. 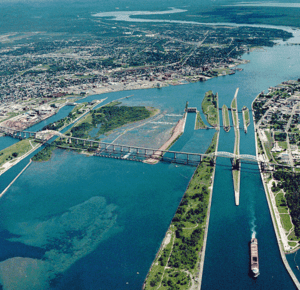 The next morning the Bannockburn was reported as overdue at the Soo Locks. With the severe storm the night before this was not considered unusual. It was thought that the Bannockburn had stopped behind an island or anchored somewhere to wait for the storm to pass. As the days passed though, concern for the Bannockburn began to grow. 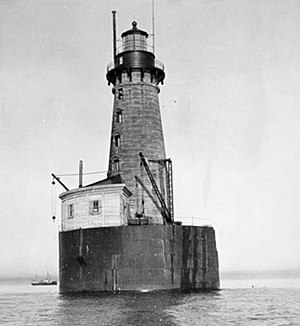 Then on 25 November 1902, a steamship, the John D. Rockefeller, passed through a debris field just off Stannard Rock Light. No other ship was missing and there was no indication of what happened. On 30 November 1902, the Bannockburn and her crew were officially declared presumed lost. On 12 December 1902, a lifejacket from the Bannockburn washed ashore near the Grand Marias Lifesaving Station. 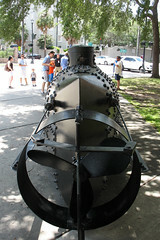 There had been many theories proposed for the loss of the Bannockburn including a boiler explosion. 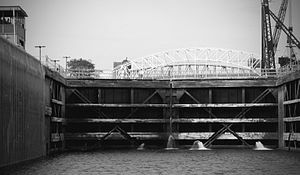 At the end of the shipping season when the Soo Locks were drained for maintenance, a hull plate from a ship was found at the bottom of the locks. Many believe this may have been from the Bannockburn. 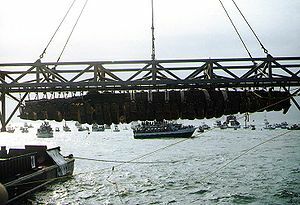 The theory continues that with a weakened hull, from the loss of the hull plate, the Bannockburn suffered a failure of its hull and sank. The ship has never been found and no one knows conclusively what happened to the Bannockburn. Another theory as to the loss of the SS Bannockburn includes the Superior Shoal. The Superior Shoal, in the middle of Lake Superior, is a shallow area of 20 square miles. The highest point of this shoal area is only 21 feet from the surface of the lake, only 2.5 feet beneath the keel of the Bannockburn. A storm, such as the one when the Bannockburn was lost, would easily create waves greater than 3 feet. More than enough to cause the Bannockburn to run aground and sink. The Superior Shoal is also suggested as the culprit in the losses of the Edmund Fitzgerald, the Inkerman, and the Cerisoles. 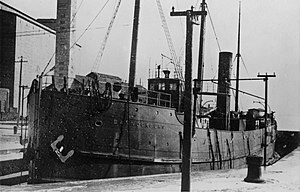 The last two ships disappeared on Lake Superior in November 1918. Another shoal area, uncharted at the time of the loss of the Bannockburn, is just north of Caribou Island. The Caribou Island shoal area is also proposed as a possible grounding area for all four ships. Some believe the Bannockburn may have been swamped by waves, capsized and sank. Our only chance to discover why the Bannockburn was lost is to discover the wreck. However, even the discovery of the wreck may not explain why the Bannockburn was lost. With any ordinary ship, this would have been the end of the Bannockburn. The ship would have disappeared into the obscurity of the past, only to periodically be resurrected by the occasional author; another small ship, lost for reasons unknown. However, the Bannockburn is no ordinary ship. Obscure in life, just one of hundreds of small ships plying the waters of Lake Superior, in death the Bannockburn has become the Flying Dutchman of the Great Lakes. Why is the Bannockburn so revered and feared? The Bannockburn is not the first ship to disappear, only to be sighted afterwards. 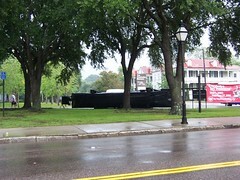 Submarine sailors reportedly sighted the USS Scorpion long after the ship sank southwest of the Azores. 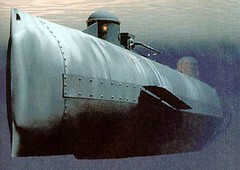 The USS Scorpion was one of six submarines, sister ships, that looked identical to each other. These other sightings were attributed to one of the Scorpion’s sister ships. The Bannockburn did not have the usual profile of a great lakes freighter. During life even at a great distance, the Bannockburn was accurately identified by her unique profile. Therefore, when the Bannockburn was spotted after her loss, there was no doubt what ship it could have been. Some of the sightings are obvious sea stories. Sailors claiming to see the Bannockburn with skeletons on deck and in portholes manning the ship through a storm. 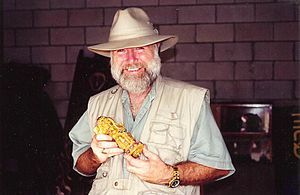 Other reported sightings are not so easy to explain or dismiss. Some of these sightings come from men with much to lose and nothing to gain by reporting a ghost ship. Many of these sightings, over the past 110 years, have been reported in regional newspapers. When examining all of the sightings of the SS Bannockburn one group seems to rise to the surface of the unexplained. These sightings happen during or just before storms, fog, and other bad weather and seem to be warnings of danger. Most of these sightings come in the month of November as well. This group of sightings also cannot be explained as misidentifications or explained by some scientific theory. Many sailors through the years have viewed a sighting of the Bannockburn as a bad omen. This feeling seems to accompany the more fanciful supposed sightings, such as the ones with skeletons aboard the Bannockburn. Others regard the Bannockburn more as a warning of danger, much as the ghost of the Grey Lady of the outer banks. The Story of the Iron ore freighter Walter A Hutchison falls into this later category. Shortly after World War 2 the Walter A Hutchison was headed to the Soo Locks in a storm. Eleven hours out of Thunder Bay the crew knew they were close to shore, but could not tell how close. They had been running close to the shore, but with a loss of their electronics due to ice, they did not know how close to shore. The wind was coming out of the northwest and would have been pushing the Walter A Hutchison closer to shore. They could steer a course more to the north, but this would put the seas on the side of the ship and could cause the cargo to shift and capsize the ship so the captain continued on his course and preferring to risk possibly running aground to a likely capsizing. The Bannockburn had been sighted on a parallel course, but with the coming night they had lost sight of her. Suddenly a rocket exploded in the night. The crew saw the Bannockburn a hundred yards off coming straight at them. The captain ordered the rudder brought over hard to port bringing the bow around to the northeast. The Walter A Hutchison wallowed in the high waves trying to put distance between itself and the Bannockburn. Did the Bannockburn appear in order to warn the Captain of the rocks ahead? Then, when the Captain failed to change his course, did the Bannockburn head straight at the Walter A Hutchison to force the Captain to change his course? We will never know. I am a man of science and always look for logical explanations, but if I am ever on Lake Superior and see a three-masted, single funnel ship the logo of the Montreal Transportation Company on its stack I am going to steer wide of her and heed the warning. Two great books on ships of the Great Lakes (I have both in my library) are “Ghost Ships of the Great Lakes,” by Dwight Boyer; and “Ghost Ships, Gales and Forgotten Tales: True Adventures on the Great Lakes,” by Wes Oleszewski.